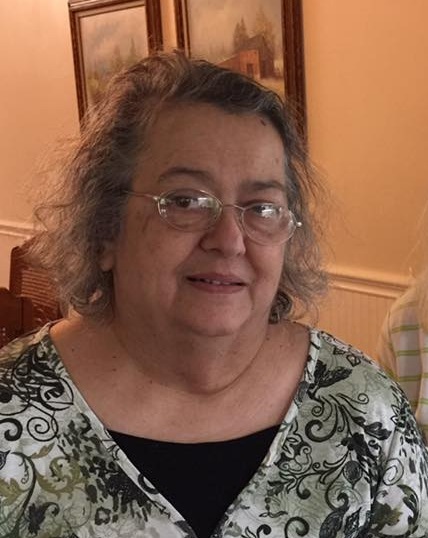 Naomi Kay (Wortham) O’Neal, 64, went home to be with the Lord on September 9, 2018. She had recently suffered a stroke, and went peacefully at home, surrounded by her family. Naomi was born in Phoenix, Arizona to the late Chester and Dona Wortham on March 21, 1954. From a young age, she learned the faith and work ethic from her family that she would carry on for the rest of her life. She graduated from Buckeye Union High School and married Roy O’Neal in 1972. The couple had their first two sons in Arizona and the third in Pennsylvania, where she lived the rest of her life. While many in the community knew Naomi as a dedicated and friendly convenience store manager, she is greatly loved and remembered by those lives she touched as a teacher/facilitator at Huntingdon Christian Academy, where she taught for 18 years. A member of Riddlesburg Church of the Brethren, she continued to teach and inspire by sharing scripture on Facebook daily. She enjoyed reading, writing, and drawing. She was motivated by sharing with and serving others. From the delicate bookmarks that she gave to friends and strangers alike, to beautiful warm blankets, her crocheted gifts will be cherished for years to come. Naomi’s conversation was marked by Godly wisdom and crafty wit. Both will be sorely missed. Naomi was preceded in death by her parents, brother Billy Wortham, and cousins Oma Riefkohl and Vida Cooper. She is survived by siblings Tommy Wortham, Chet Wortham, and Dee Long; husband Roy; sons: Rory Michael; Terryl Keith, his wife Nichole, their children Tyler and Haile; and Rodney Eugene O’Neal, his wife Alicia, and their son Andrew. Funeral Service will be held on Saturday, September 15, 2018 at 11:00 A.M. at Akers Funeral Chapel, 715 Church Street, Saxton, PA 16678 with Pastor Tim McIntyre officiating. Friends and Family will be received on Friday, September 14, 2018 from 6-8 P.M. and on Saturday from 10:00 A.M. until the hour of service at the funeral home. If friends so desire memorial contributions may be made in memory of Naomi to the Riddlesburg Church of the Brethren, 699 Newtown Rd, Riddlesburg, PA 16672.